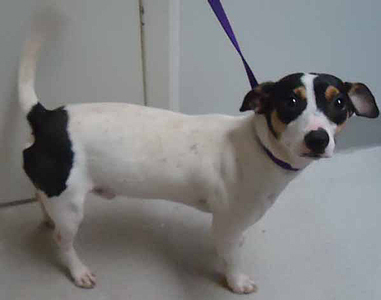 Wishbone is a small adult male Jack Russell terrier. He was a stray that was found on Dover Road in Clare and weighs 15 pounds. When he was found he wasn’t wearing a collar and had no identification on him. Wishbone is a very handsome boy that loves attention and treats. For more information, contact the Clare County Animal Shelter. Cory is a medium adult male labrador retriever who was found abandoned in a home in Harrison. 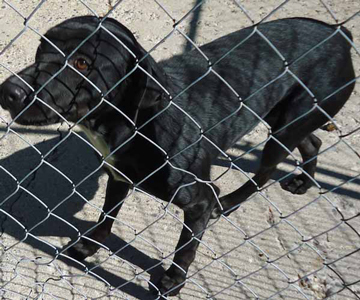 He is about 1½-years-old and weighs about 50 pounds. He is a sweet boy who loves attention. For more information, contact the Clare County Animal Shelter. 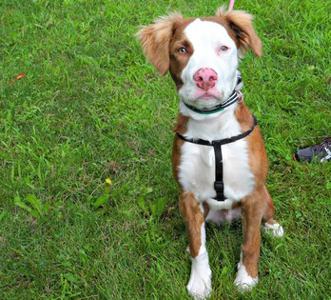 Sherman is a spaniel pit bull mix, who is a large male approximately one year old. He is good with other dogs but needs a home with no small children.. All dogs are spayed/neutered, tested for heartworm, given a rabies vaccine, canine distemper vaccine, bordetella vaccine, advantage multi (prevents fleas, worms, heartworm). The shelter also microchips all dogs. For more information, contact H.A.T.S. at the Isabella County Animal Shelter. 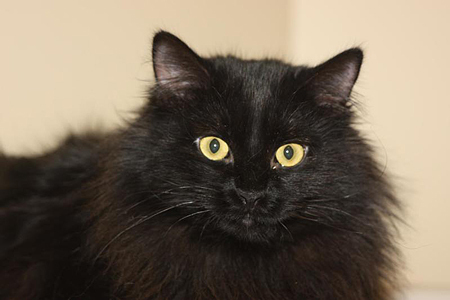 Ebony is a young black medium-sized female cat. There are many cats at the shelter right now waiting for homes. They are all spayed/neutered, vaccinated, feline leukemia/FIV tested and wormed. For more information, contact H.A.T.S. at the Isabella County Animal Shelter. 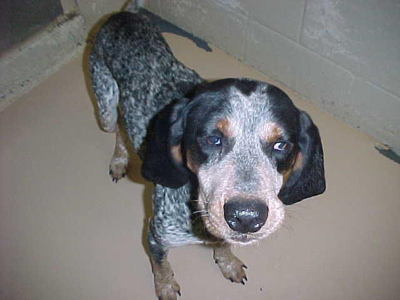 AC-10018-13 is a large adult male bluetick coonhound. He is about two years of age and about 50 pounds. He is a very sweet and easy-going boy. For more information, contact the Gladwin County Animal Shelter. 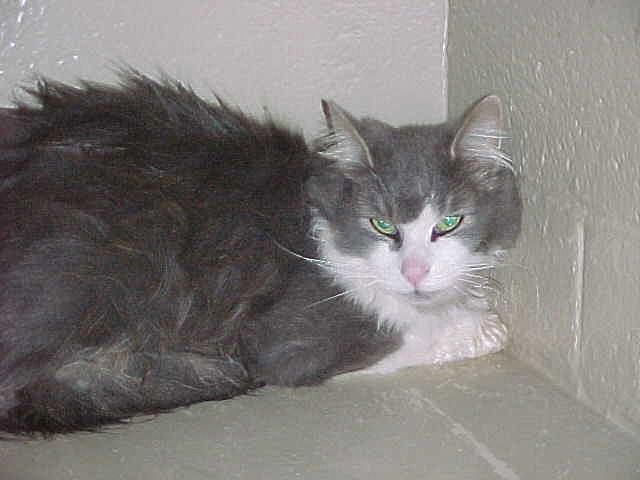 AC-1116-13 is a small adult male gray and white domestic longhair cat. He is about three years of age and a good boy. For more information, contact the Gladwin County Animal Shelter.